Maramon Convention, The Largest largest Christian convention in the world Will Start Today. Maramon Convention, a week-long spiritual retreat. Its Conducting Every Year of 3rd Week February. Its Conducting at Pampa River (Manalppuram) Near to the Kozhencherry Bridge.Maramon Is In Pathanamthitta District of Kerala State. 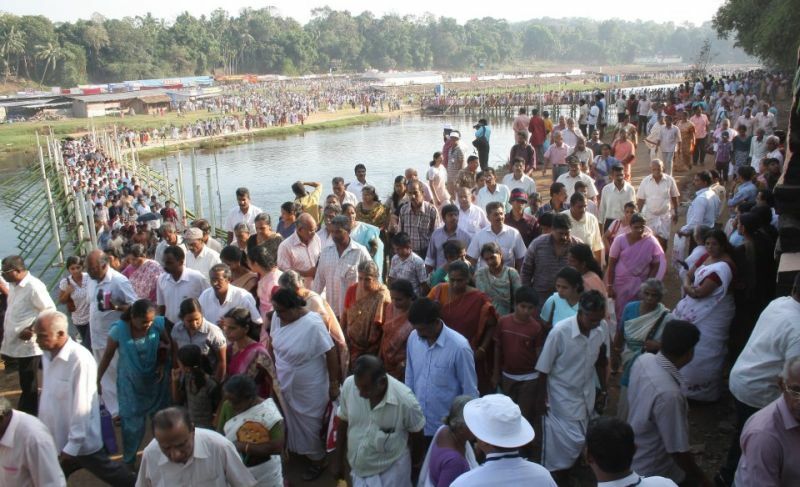 119th Maramon Convention Will Start On 9th February 2014. 16th February 2014 Is The Last Day. Maramon Convention is organized by the Mar Thoma Evangelistic Association (MTEA). Maramon Convention Started In the Year 1895. DR. Joseph Marthoma Metropolitan Will Inaugurate Convention Today at 2.30 P.M. Philipose Mar Chrysostum, Senior Metropolitan, will lead the opening worship of Maramon Convention 2014. Any Malayalam Channels Showing Maramon Convention 2014 Live ?. maramon convention live telecast not available in malayalam channels, but previous days highlights is available in Shalom chennel. Please Post Maramon Convention Songs and Videos. No internet live streaming and no women for evening session. In which era you are in , marthomites ?